Getting an auto loan pre-approval helps you know how much you an afford to spend before you even start shopping for a car so you can stick to your budget. If the salesperson tries to sell you a newer, more expensive car, you can feel more confident about declining the offer because you know how much you can comfortably spend and what your interest rate will be on your loan. Getting pre-approved is often the best option when you're trying to finance a car because it can help you get a lower interest rate on your loan, which can save you money over the life of the repayment term. High-interest car loans are like a double-edged sword because while your car is depreciating in value as you use it, you also must spend several years paying back your loan. Another benefit of getting a lower interest rate when you get a pre-approved car loan is that you can use it to negotiate if you purchase your car from a dealership. If the dealership wants to finance your auto, they will need to provide a better rate than your pre-approval rate. In most cases your credit union rates are hard to beat. When you bring your pre-approval information to the dealership, you can negotiate the price of the car more effectively because you'll be acting as a cash buyer who can take their business elsewhere if your requirements are not met. 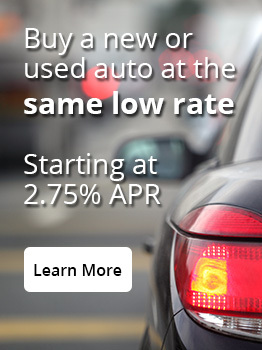 Get started on your auto loan pre-approval today. Contact us at 866-695-4142.